Artigem Replacement Services is a jewelry replacement company. 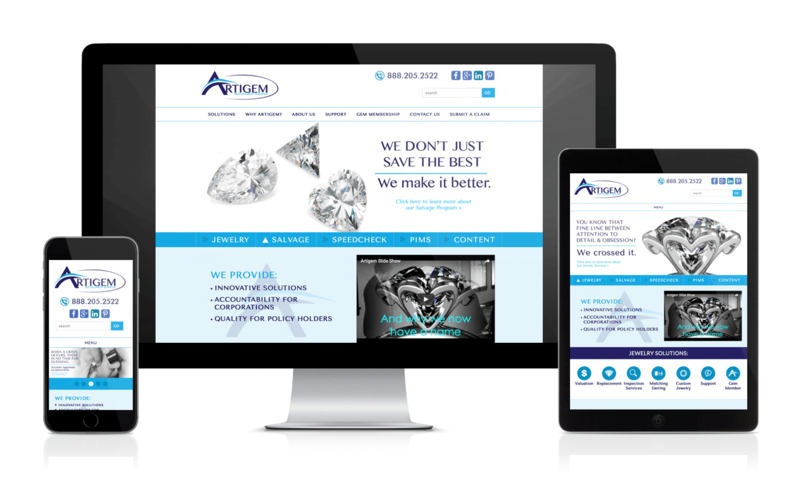 Artigem sought a number contractors from marketing specialist, designers, seo specialists and developers to achieve their website needs and goals. Digital Web Ink was proud to take part in the development of the site. The site uses WordPress for its Content Management System and is fully mobile responsive.